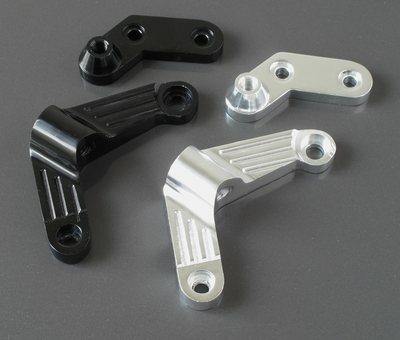 Billet alloy steering damper brackets to fit the Yamaha SR500 & SR400. 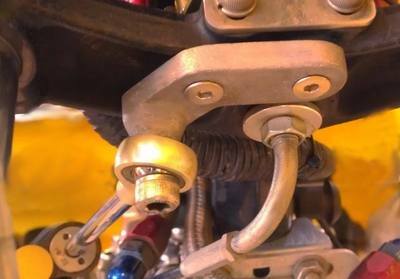 These billet alloy steering damper brackets attach to the head and underneath the lower triple clamp. 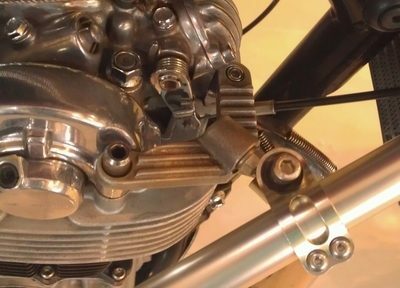 8mm threaded holes are designed to accept Öhlins and similar telescoping steering dampers.